'American Idol's Top 14 contestants revealed after many hopefuls redeem themselves in new "Duets Round"
American Idol determined its Top 14 contestants after the remaining 12 of the fifteenth season's Top 24 hopefuls performed duets with superstars from the show's past. Domestic assault charges against Constantine Maroulis will be dropped pending good behavior. 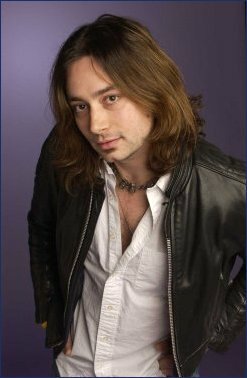 Former American Idol finalist Constantine Maroulis has been arrested twice in one week. Constantine Maroulis reportedly got a restraining order against his daughter's mother Angelina Reed following a domestic violence incident for which he got arrested. Former American Idol finalist Constantine Maroulis was arrested for allegedly beating his kid's mother. Constantine Maroulis and his girlfriend got the best Christmas present they could ask for. Jason Castro is apparently turning to a soap opera to help promote his debut album.